These white cosmo round bottles come with matching white polypropylene twist top caps. The white twist top caps allow for convenient dispensing of product with a simple twist of the cap to expose the closure's orifice. The cap can then be twisted in the opposite direction to lock it into place and prevent leakage when not in use. 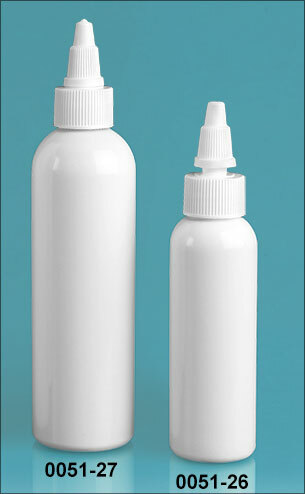 The white PET cosmo round bottles could be used to package and dispense a variety of hair care or bath and body products.